We have published the 2018 Sustainability Report in PDF format to report our materiality and activities of ESG. 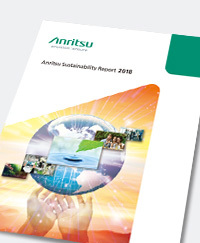 With our solution, products, and ESG activities, Anritsu contributes to the sustainability of global society with sincerity, harmony, and enthusiasm. 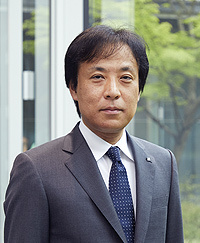 Under its company philosophy of “Sincerity, Harmony and Enthusiasm”, Anritsu implements sustainability throughout its business operations and corporate activity. Anritsu promotes to create a comfortable working environment where a diverse workforce can perform to the best of their abilities and growth. Anritsu strives to give due consideration to the environment in both the development and manufacture of our products. 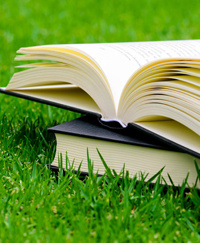 Through promoting the environmental management, we will contribute to the preservation of the global environment. 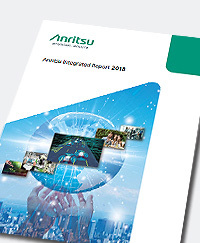 Anritsu strives to create an environment and structure in which corporate governance functions effectively, so it can consistently increase its corporate value by offering a flexible and speedy response to changes in the operating environment. Anritsu establishes partnerships by proactively disclosing information and dialoguing with stakeholders throughout its business activities.